Haidilao went public in September 2018. The IPO raised nearly US$1 billion and valued the company at roughly US$12 billion. 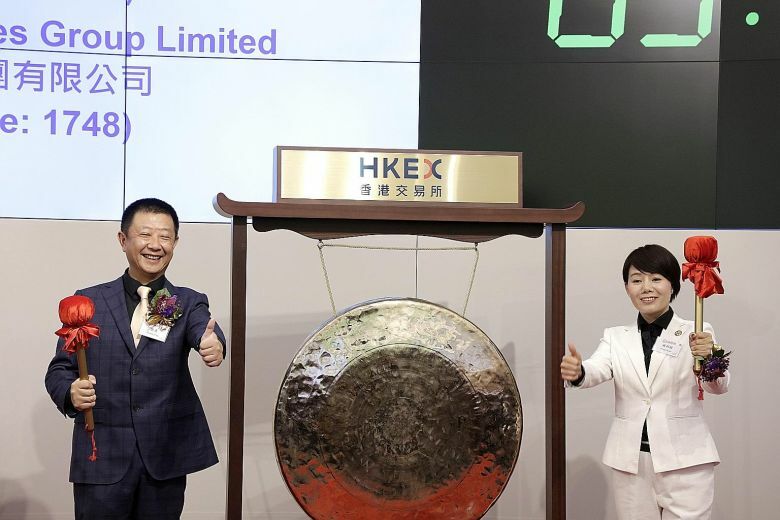 As of last week, Haidilao co-founders Zhang Yong and wife Shu Ping had grown US$5.6 billion (S$7.58 billion) richer in 2019. This is a 74 per cent increase in wealth in just over three months, according to Bloomberg’s Billionaire’s Index, which is a ranking of the world’s 500 richest people. Last year, Haidilao’s revenue jumped 60 per cent to 17 billion yuan (S$14.1 billion). This helped to push its stock more than 77 per cent this year. Valued at 47 times projected earnings for the next 12 months, it’s now about four times more expensive than Hong Kong’s benchmark Hang Seng Index, according to data compiled by Bloomberg. The company’s market value has also increased to US$21 billion. 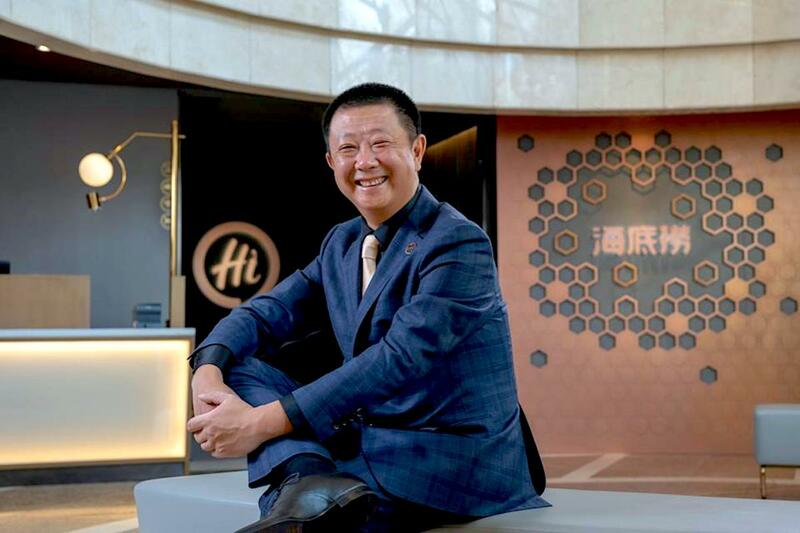 Another power couple behind Haidilao, co-founder and executive director Shi Yonghong and his wife Li Haiyan, have also grown 74 per cent wealthier this year. Their fortune is now worth US$6.3 billion. In this year’s World’s Billionaires List, Forbes has named Haidilao founder Zhang Yong as Singapore’s third richest. With a net worth of US$6.8 billion (his real-time net worth has increased to US$8.2 billion), Zhang has also been listed as the 224th richest man in the world. Although he is a new entrant to the list, the now-Singapore citizen is already known as China’s richest restauranteur. 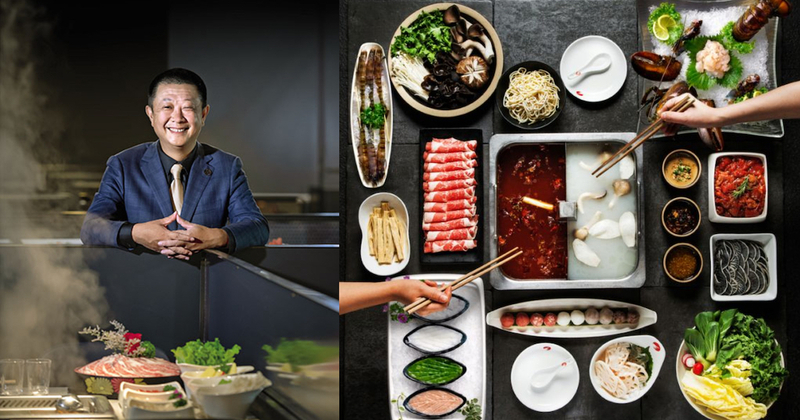 The 48-year-old runs a successful Sichuan-style hotpot chain that raked in US$10.4 billion in sales from his 370 restaurants worldwide. Beyond China, Haidilao has more than 30 outlets overseas in countries like Singapore (which has the most number of outlets), Taiwan, South Korea, the United States, Japan and Hong Kong. Besides Haidilao, Zhang also holds a majority stake in Haidilao Catering and Hai Di Lao International Holding (parent company of Haidilao); as well as Yihai International, a food distribution and seasoning manufacturer for Haidilao. Despite the significant success Zhang enjoys today, he actually has very humble beginnings as a factory worker, earning just 93 yuan (~S$19) a month. The high school dropout used to work as a welder in a government-run tractor factory in his hometown of Jianyang in Sichuan, China. He later quit the job when he was embroiled in a dispute over a company apartment for him and his fiancée Shu Ping, who is now his wife and the co-founder of Haidilao. Zhang said he never regretted his decision to quit, claiming that the “factory never made a profit” anyway. In 1994, he opened the first Haidilao outlet, which was a small 400-square feet space with only four tables. 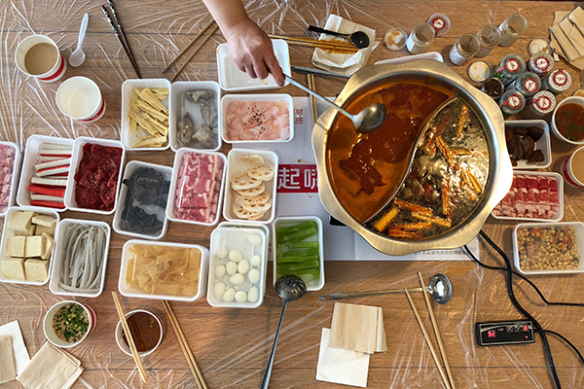 He didn’t have a cooking background or possess the basic knowledge in preparing a Sichuan hotpot, but dived into it anyway because he needed to “support [himself] … [and] eat“. Haidilao was actually founded by two couples: Zhang Yong and wife Shu Ping, as well as Shi Yonghong and wife Li Haiyan. Shu Ping is now Singapore’s 14th richest individual (she is also the only woman to have made it onto the list), while Shi Yonghong is the executive director of Haidilao with a US$3.5 billion stake. His three business partners are the ones who helped him with the early funding of Haidilao. I was penniless, so the others were the real investors. The entire investment was less than 10,000 yuan (~S$2,011). Though I didn’t contribute much in terms of start-up money, I assumed the position of general manager and promised the others that our assets would grow to 150,000 yuan (~S$30,171) within five years. I swore that if I couldn’t manage it, I would compensate them. That was a huge amount of money for a group of twenty-somethings in the 1990s, so they were all a bit startled. 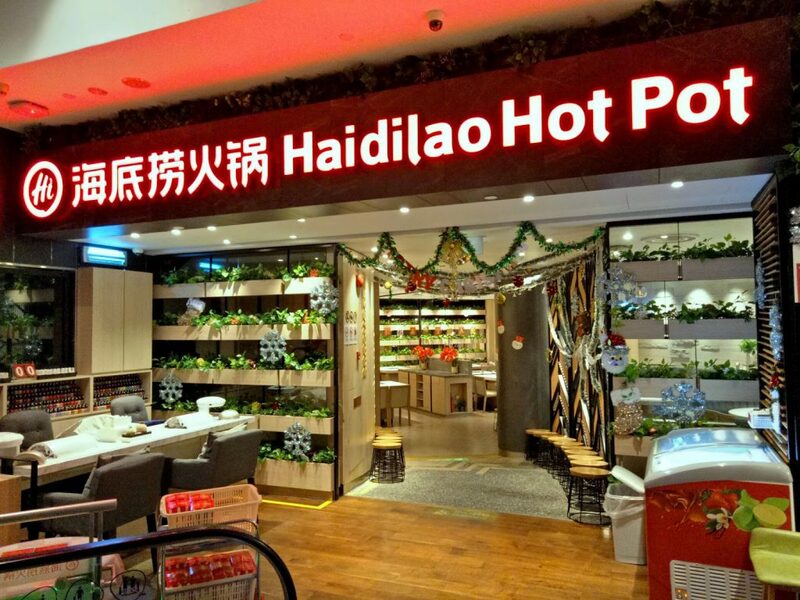 Zhang invested all their money in the restaurant and within a few months, Haidilao became the “largest hotpot restaurant” in the Jianyang district. He expanded the outlet by adding a whole new floor, and opened a second outlet in 1998. I don’t care about money. It’s your view of the world that decides your attitude towards money. If you [want to expand], you view money as a resource for investment. That is how entrepreneurs think. In recent years, hotpot restaurants have become increasingly popular. Banking on this trend, Haidilao has expanded online to offer food delivery services on Alibaba’s e-commerce platform and its own website. This is to accommodate to customers who want to have Haidilao hotpot in the comfort of their own homes. A Haidilao staff will help set up the hotpot and after the customer is done, the staff will return to help tidy up and return the tableware. Zhang didn’t even eat in an actual restaurant until he was 19 years old. To add on, his first dining experience was horrible — the rude staff and subpar hotpot meal left him feeling very unimpressed. This is exactly why he is so determined to offer exceptional customer service in his restaurants. “I personally made sure that any guest who came through my door would return,” he told Forbes. He added that he utilised strategies like discounts and free snacks, but also took customer feedback seriously. His restaurant does not depend on chefs to prepare the food, so Zhang turns to good service and entertainment to keep customers coming back for more. It offers complimentary drinks and snacks, card and board games, manicure services, and even shoulder massages to waiting customers. Beyond that, hot face towels, bib covers, protective bags for mobile phones are also offered to customers prior to dining. Those dining solo are offered a teddy bear to accompany them. 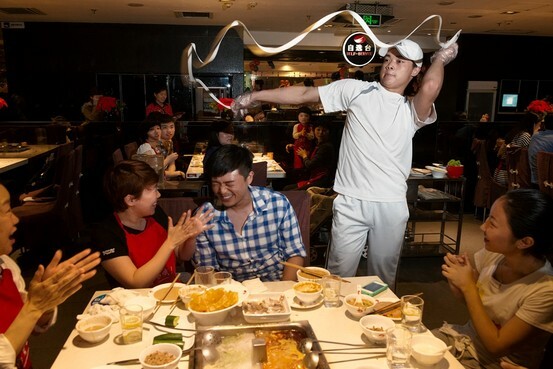 Diners also get to enjoy a live noodle-pulling performance and Sichuan’s traditional mask dance, in which the performer changes his or her mask so quickly that it appears instantaneous. Such exemplary service has brought a novel approach to the dining experience, and has been the key competitive advantage that sets Haidilao apart from its competitors. I’m from the countryside, where rural people believe that if you take money from other people and you don’t bring benefit to them, then you are a liar. Besides his customer-centric philosophy, Zhang also attributes his company’s success to his employees. Most of Haidilao’s employees tick the same boxes as Zhang when he first started out: young, with limited education, and from small towns or rural areas. This is why the core philosophy of Haidilao is that “you can change your life using your own hands“. For one, Haidilao makes it a point to only promote from within. As such, employees are motivated to work harder to get promoted. There is no glass ceiling — everyone has a fair opportunity to rise through the ranks regardless of their background. A living example is the person who runs Haidilao’s US business, who started off a restaurant doorman. Critical factors that motivate Haidilao employees are the company’s attractive incentives and welfare packages. Outstanding employees receive benefits such as free apartments, parental subsidies, educational allowances for their children, and even a fund for natural disasters. There are also additional incentives for employees who refer their family and friends to work there. We rarely hire from outside. Just because you have a degree from Harvard or from Peking University, we won’t give you any special favour. 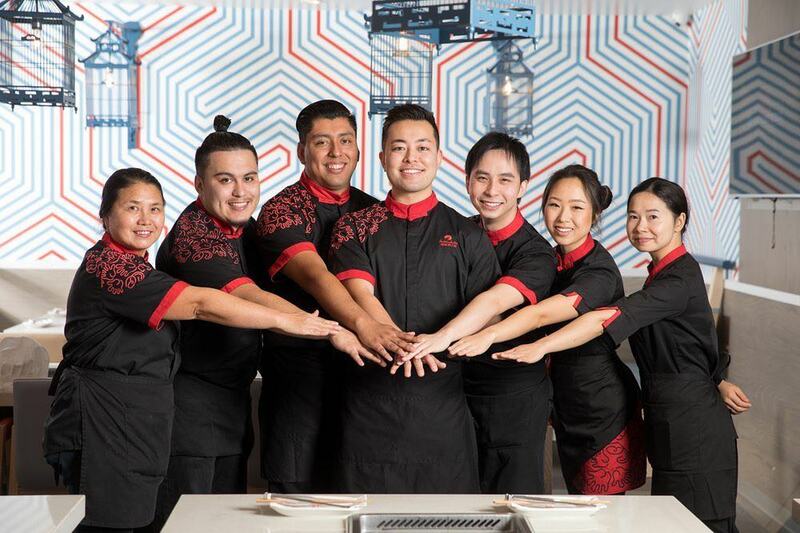 When Haidilao hires a restaurant manager, the candidate has to pass all theory and practical tests for all 45 roles — from cleaners to chefs — in their restaurant. This stringent hiring process helps them acquire only competent people. When it comes to performance evaluation, the managers are assessed based primarily on customer satisfaction and staff morale, beyond just revenue numbers. 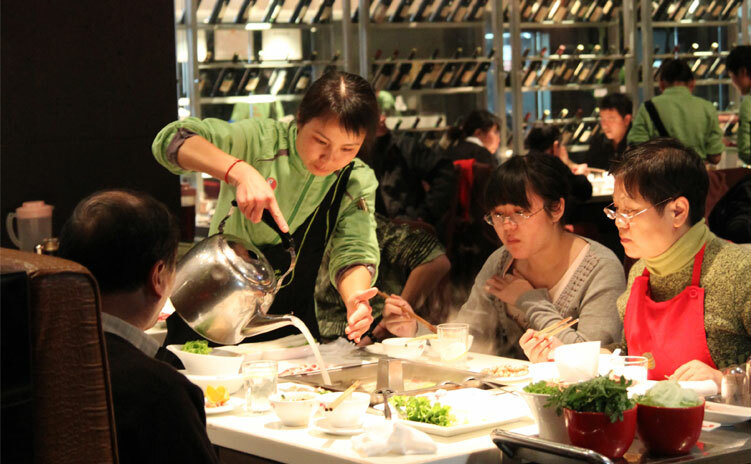 In 2010, Haidilao even established its own university to train its restaurant managers. Most of the teachers there are experienced restaurant managers, which builds a system of apprenticeship for frontline staff to learn from senior employees. Restaurant managers also receive financial incentives — Haidilao reportedly offers them 3 per cent of the restaurants’ profits. When a manager takes on a new location, he brings a third of his restaurant’s staff with him, leaving his apprentice behind as the new manager. Alternatively, an apprentice can choose to run a new location on his own with the help of his new manager — but the latter will get a cut of the restaurant’ profit. This practice makes managers motivated to identify talent as they receive a higher percentage of profit from their apprentice’s restaurant than from their own. Putting faith in my staff has paid off for me. Giving them responsibility and autonomy is how you show trust. At the end of the day, Zhang believes in fair opportunities for social mobility through paying and rewarding employees well. This has helped to keep employee turnover low — frontline staff turnover is only at 10 per cent, while management staff turnover is near zero. According to a Frost & Sullivan industry report, Zhang’s 60,000-strong employees have among the highest retention rates in China’s hospitality industry. In September 2018, Haidilao raised US$963 million in a Hong Kong initial public offering (IPO) in a bid to take the brand global. The IPO has valued the company at US$12 billion, making it the first Asia F&B chain to surpass US$10 billion in market value. The funds raised are slated to help finance the chain’s rapid expansion and implement new AI technology to automate its supply chain. In an interview with Forbes, Zhang said that Haidilao has been opening a new restaurant every three days. He added that new locations break even within one to three months. Foreigners are to thank for this, he said, for they have a huge curiosity for Chinese culture. “Much of our history and customs can be learned through food,” he told Forbes. As such, Zhang emphasised that overseas expansion is a “must” for Haidilao. It’s better to scale fast and be everywhere, instead of having a single towering presence. Sharing about business expansion plans, Zhang said that he plans to enter new markets where Chinese migrants live. New Haidilao destinations include England, Australia, Canada, Malaysia, Thailand and other parts of Southeast Asia.